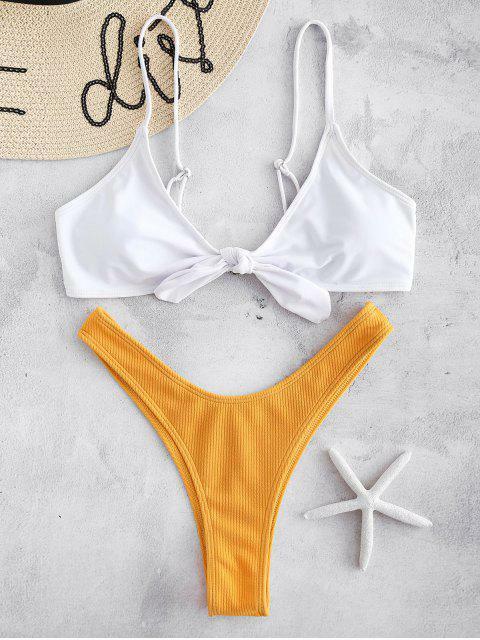 [20% OFF] 2019 Color Block Ribbed Knotted Bikini Set In YELLOW | ZAFUL .. This set is so lovely! I love the ribbed texture of the bottoms and great sizing! I am usually an S/M but got this in size M and fits perfectly on both ends. The top is lovely and adjustable and the bottoms are lovely model. The bottoms are quite cheeky though, I don't mind because smaller tan lines. Such a beautiful set and can easily be mixed and matched. Maillot prit en M, pour du 36/38 ainsi que du 85C francais. Il est impeccable je suis très contente du résultat. 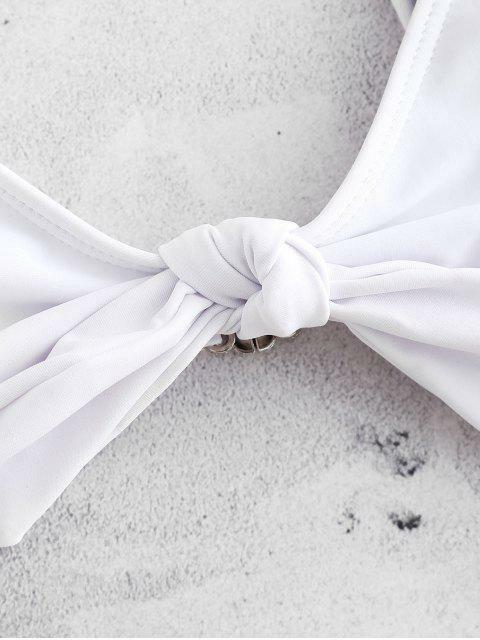 The mix and match bikini set will look smashing on you! This padded bikini top has very thin adjustable shoulder straps and a spaced v-collar design that cuts down to the knotted front. The colored briefs in ribbed fabric have the high cut leg openings to show more of your legs.